President Muhammadu Buhari says his administration is making efforts to stabilise the Niger Delta region to regularly pipe gas to the West African sub region. The President explains that the government would achieve this through the infrastructure in place in the region, for the benefit of other member countries including Benin Republic. He disclosed this to State House correspondents on Tuesday after a bilateral talk with the new President of Benin Republic, Mr Patrice Talon. The discussion between the two leaders at the Presidential Villa centred on security, power and trade relations. 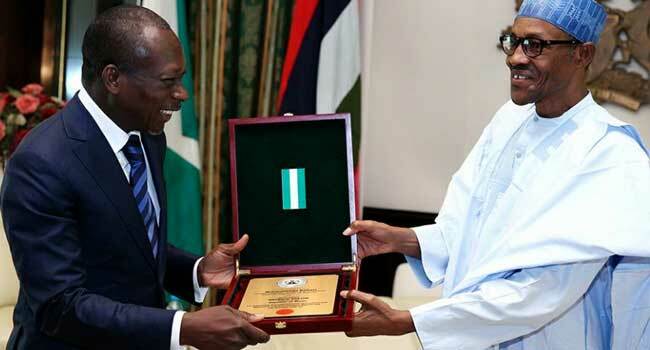 President Buhari thanked Benin Republic for contributing to the effort to check the Boko Haram insurgency and called on the West African nations to beware of restrictions on trade relations. President Talon on his part described Nigeria as a big brother who is needed at all times for his country to stabilise, especially in the power sector. He requested that his country needs the assistance of Nigeria to address its electricity needs as well as tackle illicit trade relations between the two countries. 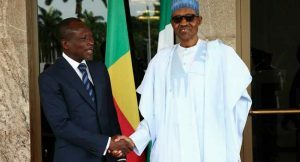 The new Benin Republic President, who is visiting Nigeria for the first time since his election four months ago, restated the need to strengthen trade relations between the two countries. He also urged Nigeria to take advantage of the fall in oil price to diversify its economy against the over dependence on oil, stressing that it is affecting his country.